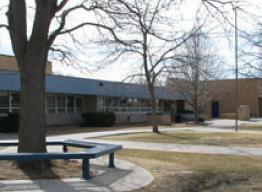 Opening its doors in the fall of 1963, Bennett Elementary School is named for Merle Bennett, the founder of PSD’s Kindergarten Program. Located adjacent to Colorado State University, approximately 60% of the student population derives from Bennett’s attending area and 40% are school of choice. With families from all over the world, students benefit from diverse world views and experiences. The Bennett community—staff, students, parents, and volunteers— creates a caring environment in which students feel confident, take risks to support their own learning and the learning of others, and are empowered to act upon real world problems while mastering learning targets. Bennett Elementary is an IB World School which implements the Primary Years Programme for all K-5 students. Focusing on the development of the whole child as an inquirer, both in the classroom and in the world outside, Bennett encourages children to be active global citizens through transdisciplinary inquiry-based learning. Purposeful connections between real life application and studies in math, science, social studies, the arts, personal, social and physical education, and language are built using 21st century skills. English is the language of instruction. Spanish is offered as a beginning second language. A variety of enrichment opportunities and supports are available during and outside of school hours.